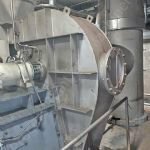 At Process Plant and Machinery Limited we offer various Clean In Place Systems & Plants (CIP Systems & Plants) which are custom built at our facility based on client's actual requirement. 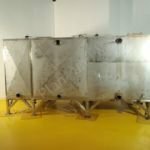 Stainless steel tank (1-Tank, 2-Tank or 3-Tank system). Circulation Pump (Number of pumps depends on the number of channels). Actuated & Manual control valves (Depending on Automatic or Manual cleaning system). 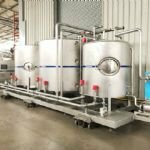 CIP systems can be supplied with either rectangular (or) cylindrical tanks based on client's actual requirement. Flow rate of a CIP plant is directly proportional to the flow rate of the circulation pumps. 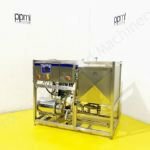 While making an enquiry for a CIP System or Plant, please specify acual requirement with details on the number of tanks, single-channel (or) multi-channel system, flow rate including details on the cleaning cycles & process.